Companies are facing increasing pressure to get drugs to market faster on a smaller budget. As a result, organizations are looking to capture data more efficiently and do the most with their data. SaaS provides a solution, tackling some of these challenges head-on – it’s scalable to meet varying business needs and offers businesses regular updates to ensure organizations are using the latest version with the best features in capability. IDBS’ E-WorkBook captures data in a structured manner and its various modules enable companies to adapt a business solution to match their specific requirements and meet their overall objectives. It offers a research and development platform for data to be organized for ease of use, access, and maximizes its potential. The E-WorkBook Cloud enables organizations to make the best decisions based on captured data and reduces product time to market. 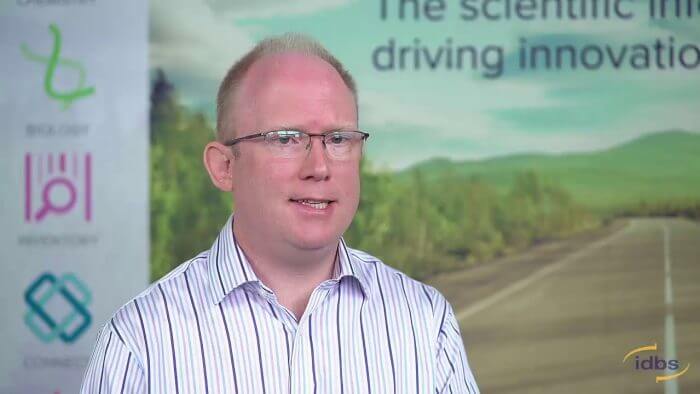 Stuart Ward, Head of Business Analysis at IDBS, explores in this expert interview how a Software-as-a-Service (SaaS) solution can benefit R&D organizations and drive innovation. If you’d like to know more about how your R&D organization can benefit from capturing data in an enterprise scientific informatics platform, then click here or get in touch. Stuart Ward manages a team of business analysts/product owners and is also the product manager of IDBS’ E-WorkBook. He collaborates with customers and stakeholders to identify product needs to provide businesses with the best life science software for their continued development.